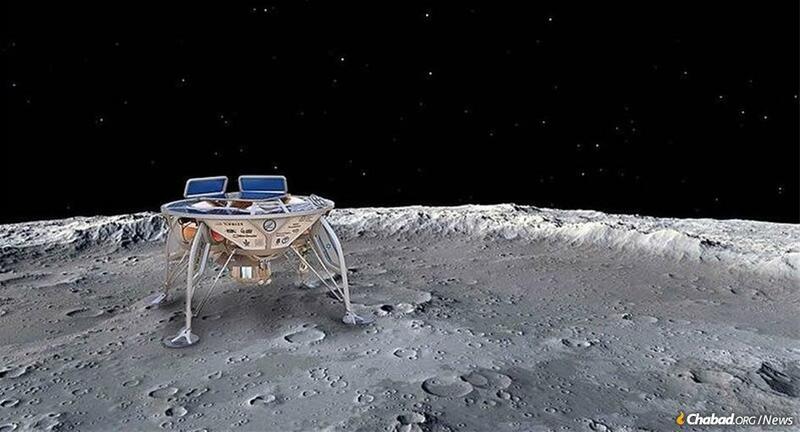 Hopes were dashed at the last moment when the Israeli spacecraft Beresheet lost power as it prepared to land and crashed into the moon. Nearly 50 years after man first set foot on the moon during the U.S. Apollo 11 mission—perhaps with a little less fanfare—Israel and its supporters around the world were looking to celebrate another moon landing. But their hopes were dashed at the last moment when the unmanned Israeli spacecraft lost power as it prepared to land and crashed into the moon. Organizers and government officials vowed to try again, with the goal of launching another spacecraft within two years. What Is the Tanya About? The much-vaunted Beresheet was maneuvering its way onto the moon’s surface at 10:25 p.m. Israel time on Thursday when it lost power and went into a free-fall. Among the Jewish symbols and treasures packed onto the craft was a “Chitas,” an acronym that stands for the Chumash (The Five Book of Moses), King David’s Psalms (Tehillim) and the Tanya (Chabad’s foundational work). The trilogy that includes the Tanya is held closely to the hearts of many, especially followers of Judaism’s esoteric teachings. The practice of distributing Tanyas far and wide follows a long-held tradition based on a 1978 directive of the Rebbe—Rabbi Menachem M. Schneerson of righteous memory—to print the Tanya in as many places as possible where Jews reside, even if just one. 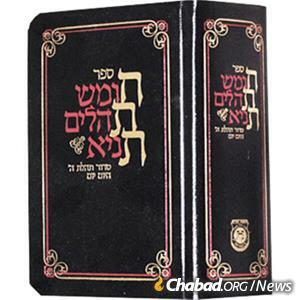 The Rebbe said that every place the Tanya was printed would become a source of Chassidic teachings, and thereby follow the lesson of the Baal Shem Tov, founder of the Chassidic movement, that spreading those teachings would hasten the arrival of the final redemption. The Rebbe added that when Jews learn that a Tanya was printed in their city, they will be compelled to study it. Rabbi Mordechai Siev, who heads the outreach program at Ascent in Safed, Israel, was involved in the effort to print the first Hebrew-English Tanya in Israel in 2000, and has been following the spacecraft with its holy payload with great interest. The Chitas containing the Tanya headed to the moon was included in a time capsule aboard “Beresheet” that will be left for posterity. 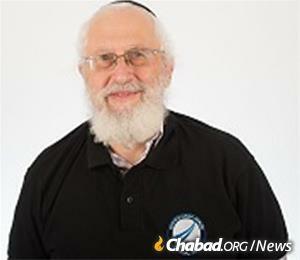 It was compliments of Alexander Friedman, 68, a Chabad-Lubavitch space scientist who helped build the rocket and lead a team of some 25 ground-control engineers in guiding it to its destination. “The boy from Russia who was not accepted to study physics because he was a Jew is now part of a team that is sending off a spacecraft containing a disk with the entire Hebrew Bible [and Chitas] scanned onto it,” he said prior to the liftoff.